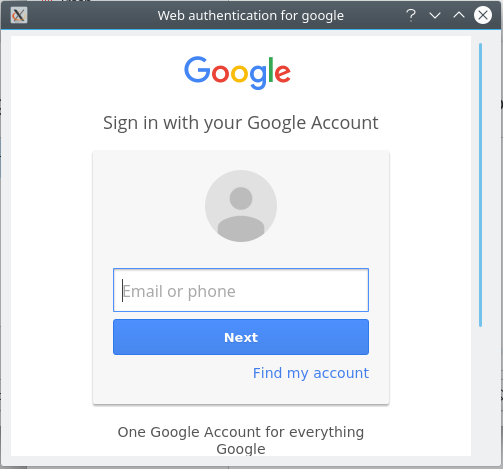 While this is not a filesystem mount via the Linux kernel (such as I just described in a previous blog post), KIO GDrive (part of KDE) enables KIO-aware applications (such as the Dolphin file manager, Kate editor, or Gwenview image viewer) to access, navigate, and edit Google Drive files. 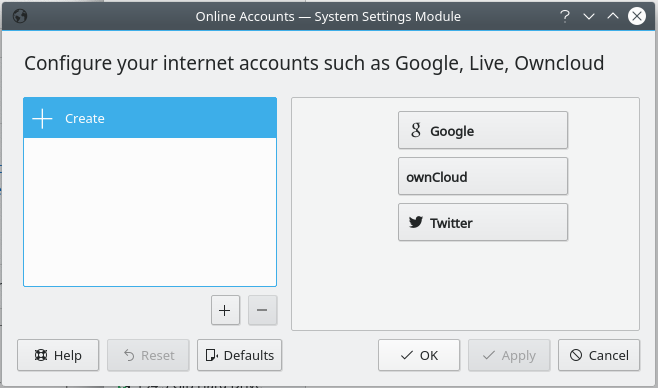 kio-gdrive is available as a package in several Linux distributions. If installed, the Dolphin file manager will get an entry “Google Drive” under “Network”. 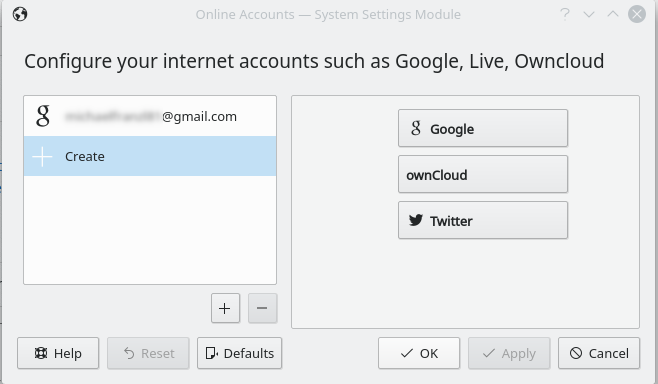 There, an unprivileged desktop user can ‘mount’ a GoogleDrive account via a guided graphical configuration (during which the default browser will be opened where one needs to give KDE KAccounts permission to access the GoogleDrive account). This method doesn’t provide access to GoogleDrive via a terminal, but it integrates it nicely with a graphical desktop. 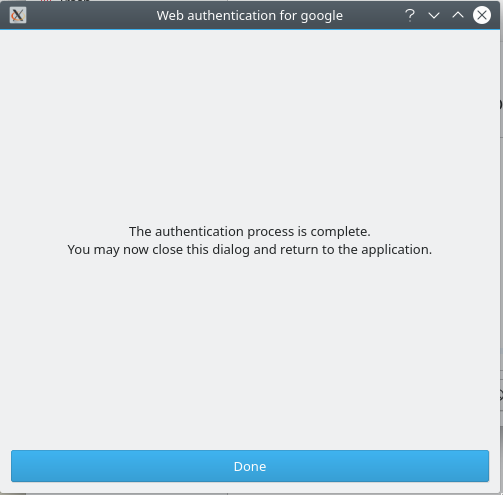 But the best part is that you don’t have to be root/superuser in order to do this, nor do you have to use the command line or write configuration files! The following screenshots will walk you through the entire process! Install kio-gdrive (on Debian: apt install kio-gdrive). After installation, Dolphin file manager immediately should get an entry called “Google Drive” under “Network” (see also featured image of this blog post). Click on “+ Create” and then on “Google”. It now will ask you to allow access to your Google Drive. A small web frame should open. 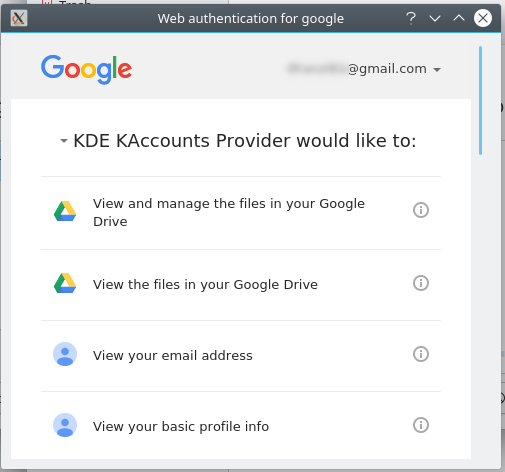 Enter your Google credentials and proceed until you are asked to give access to KDE KAccounts Provider. Exit this dialog and you will already be able to browse your files! Stalking is an art applicable to everything. There are four steps to learning it: ruthlessness, cunning, patience, and sweetness. Ruthlessness should not be harshness, cunning should not be cruelty, patience should not be negligence, and sweetness should not be foolishness. These four steps have to be practiced and perfected until they are so smooth they are unnoticeable.